As the desire to vacation in Mexico’s resort town of Puerto Vallarta soars, the demand to schedule more direct flights to the town has also increased. Now, many airlines in the United States and Canada have met the demand by providing around-the-clock direct flights to Puerto Vallarta more and more airlines are offering nonstop services to the trending destination. Throughout the east and west coast, you can find an airline that provides direct flights to Puerto Vallarta to accommodate this new vacation trend. So it doesn’t matter if you are leaving from New York on the east coast or Vancouver, Canada on the west coast: You are bound to find a scheduled direct flight to Puerto Vallarta that is both convenient and economical. Nothing beats the benefit of having direct flights to Puerto Vallarta! Because of the availability of direct flights in the US and Canada, vacationers don’t have to waste vacation time with tiring stopovers while traveling to the Licenciado Gustavo Diaz Ordaz International Airport. You can now enjoy the benefit of booking a direct flight without having to travel before you travel. 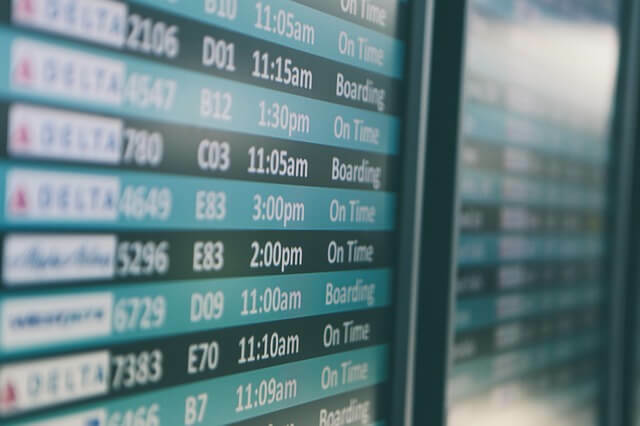 So take the hassle out of planning your trip and get the most out of your vacation by booking a direct flight to Puerto Vallarta using one of the airline schedules below.